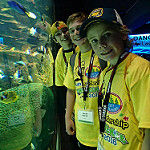 Every year hundreds of youth aged 8-16 from across the province put down their cell phones, video games, and turn off their televisions for the opportunity to experience the most exciting program in Ontario. 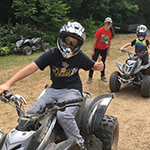 This program provides youth with an alternative to digital entertainment, by putting an emphasis on our traditional outdoor recreational activities. 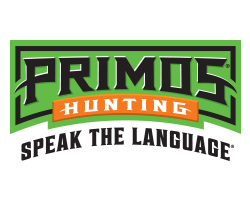 It is the only fishing and hunting youth program of its kind in Ontario! After January 7 at 4:31 pm, no refund will be available. All cancellations must be sent to getoutdoors@ofah.org clearly stating your wish to cancel the registration. Is this an overnight camp and, if so, what are the accommodations? Yes. 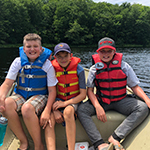 Your child will spend two days and two nights at the Camp Kawartha’s Outdoor Education Centre, and get the opportunity to stay inside Camp Kawartha’s many fantastic cabins. 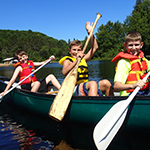 Campers sleep in gender-separate cabins, and will require a sleeping bag, and pillow. 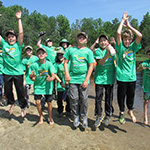 Campers also have gender-separate washrooms and have access to showering facilities during free time and before bed. To ensure proper supervision, the OFAH is taking initiative when offering supervision and sleeping quarters to all of the youth participants. 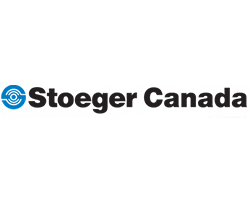 The OFAH will ensure that all of the sleeping areas are supervised by at least two adult volunteers of the same gender and/or a youth leader. Washrooms are located close by, so campers can comfortable change in privacy. 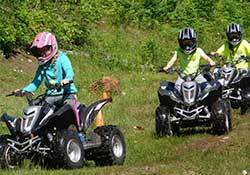 The OFAH Get Outdoors program will provide all program equipment needed; however, a list of specific items that your child will need to bring will be included in an information package emailed to you one month prior to the event. These items include personal belongings, such as change of clothes (two days’ worth), sleeping bag, pillow, warm sweater, winter boots, winter jacket, snow pants, mitts, toque, scarf, daypack, towel, toothbrush, toothpaste, indoor running shoes (clean and dry), water bottle, extra socks, etc. PLEASE LABEL ALL ITEMS! This will make lost items easily returned. Due to increased allergy concerns, we ask that no outside food be brought to camp. Snacks and refreshments will always be made available to the campers. ALL ELECTRONICS ARE TO BE LEFT AT HOME for everyone to better enjoy his or her experience, and to prevent loss, damage, etc. Can my child request to be in the same group as a friend or family member? Upon registration, any requests can be added in the “notes” form. 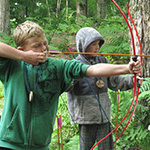 Activity groups are usually based on the age of each child. All efforts will be made to meet your requests, although if the number of youth in each age range vary, some requests might not be possible. These groups will be a mixture of boys and girls of similar age group. Can my child bring snacks? Your child will be provided with all meals and snacks that they require. 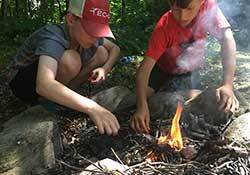 Healthy snacks are always made available to campers. We prefer that no campers bring any snacks due to increased allergy concerns. Does my child need money? Is there a bus pick up location? No, as all of the participants come from all corners of the province, there is no one location that a pick up would be economical. 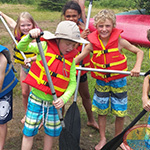 It is your responsibility to get your child to and from Camp Kawartha. Keep in mind, if you arrange for someone else to drop off your child, please ensure that all of the paperwork has been signed and submitted in advance. Your child will not be able to participate without properly completed paperwork. Please also let us know if someone other than you will be picking your child up. Full payment required upon registration. 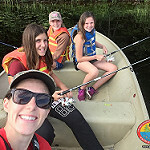 Each summer the Ontario Federation of Anglers and Hunters (OFAH) invites youth from across the province to put down their cell phones, video games, and turn off their televisions for the opportunity to experience the only camp of its kind in Ontario. 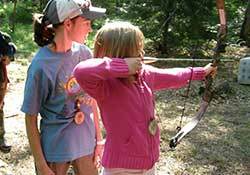 This camp gives today's youth first hand exposure to our rich, outdoor heritage and encourages them to Get Outdoors! Over the past five years, this camp has filled up in a matter of minutes on registration day. 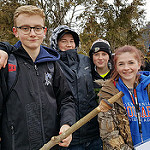 Back by popular demand and with the stellar support of our volunteers, the OFAH Get Outdoors Summer Leadership Camp will again have a total of 240 spots for youth ages 8-16. 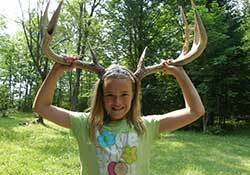 The OFAH Get Outdoors summer camp puts an emphasis on promoting our outdoor heritage. 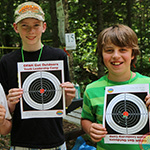 Check out the summer camp video featuring the high energy activities each camper experiences. Enjoy and Get Outdoors! 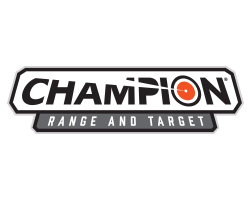 Follow us on Twitter, Like us on Facebook or subscribe for email alerts! Don't miss out! 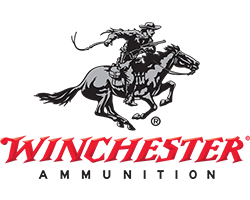 Join our email list for reminders of our upcoming dates and events or like us on Facebook or follow us on Twitter to stay connected. If you have additional questions, contact getoutdoors@ofah.org or call (705) 748-6324 ext 253. After May 1 at 4:31 pm, no refund will be available. Is this an overnight conference and, if so, what are the accommodations? Yes. Your child will spend three days and two nights at the Hilton Mississauga/Meadowvale Hotel in Mississauga, and get the opportunity to camp-out inside one of the hotel’s many fantastic conference rooms. 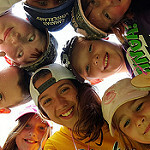 Campers sleep in gender-separate conference rooms, and will require a sleeping bag, pillow, and sleeping mat. 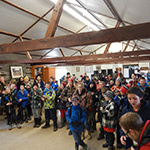 Campers also have gender-separate washrooms and have access to showering facilities during free time and before bed. To ensure proper supervision, the OFAH is taking initiative when offering supervision and sleeping quarters to all of the youth participants. The OFAH ensure that all of the sleeping areas are supervised by at least two adult volunteers of the same gender and/or a youth leader. 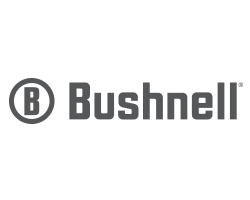 Washrooms and change rooms are located close by, so campers can comfortable change in privacy. 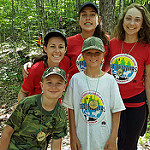 The OFAH Get Outdoors program will provide all program equipment needed; however, a list of specific items that your child will need to bring will be included in an information package emailed to you one month prior to the event. These items include personal belongings, such as change of clothes (two days worth), sleeping bag, sleeping mat, pillow, warm sweater, winter boots, winter jacket, snow pants, mitts, toque, scarf, daypack, swim suit, towel, tooth brush, tooth paste, indoor running shoes (clean and dry), water bottle, extra socks, etc. Due to increased allergy concerns, we ask that no outside food be brought to conference. Snacks and refreshments will always be made available to the campers. Due to limited space, we will not be able to set up any tents. Upon registration, any requests can be added in the comments box. 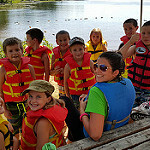 Activity groups are usually based on the ages of each child. All efforts will be made to meet your requests, although if the number of youth in each age range vary, some requests might not be possible. These groups will be a mixture of boys and girls of similar age group. Can my child request to be in the same conference room as a friend or family member? Room assignments are made after all of the participants have had the opportunity to meet each other, and find common interests with their peers. 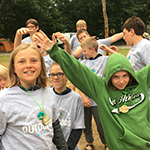 Campers are encouraged to provide input on room assignments, and all efforts will be made to meet requests; however, all rooms will only contain one gender. Your child will be provided with all meals and snacks, which they require. Healthy snacks are always made available to campers. We prefer that no campers bring any snacks due to increased allergy concerns. Your child should have no need for money; all equipment is provided. It is highly suggested that all valuables and electronics be left at home. We are not responsible for any lost or misplaced items. No, as all of the participants come from all corners of the province, there is no one location that a pick up would be economical. 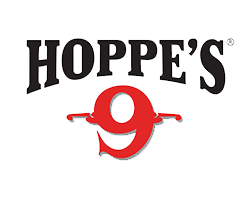 It is your responsibility to get your child to and from the hotel. Keep in mind, if you arrange for someone else to drop off your child, please ensure that all of the paperwork has been signed and submitted in advance. Your child will not be able to participate without properly completed paperwork. Please also let us know if someone other than you will be picking your child up. 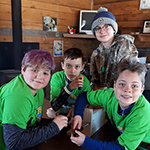 Youth education and conservation programs like Get Outdoors is only made possible thanks to the support of the OFAH's more than 100,000 members, subscribers and supporters, and 740 member clubs, across the Province of Ontario. 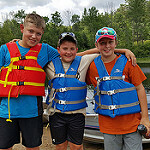 Stay up-to-date with the latest news and information surrounding the OFAH Get Outdoors program.